Have you ever received a blocked call? You almost certainly have, because placing blocked calls is as easy as ever. For anyone who is looking to hide their identity or harass someone, placing a blocked call is seen as the foolproof way to do so. Blocked calls disrupt your sense of security and come between your relationship with your smartphone. To make matters worse, blocked calls are a threat to your well-being and safety. Most times, there is typically a reason the person calling you wants to hide their true identity – and it is never well-intentioned. How do you place a blocked call? How can you stop blocked calls from ringing? How can you find out who’s making blocked calls to you? Have you ever wondered why it is common to receive blocked calls? The unfortunate reality is that blocked calls are so common because they are incredibly easy to place. To place a blocked call from any phone, all you need to do is simply dial *67 before the number you wanted to call. So if you were calling 555-444-3333, you’d just need to dial their number as *67-555-444-3333 to call them from a blocked number. Most smartphones offer a similar setting that allow callers to block their caller ID from displaying on any outgoing phone call. With smartphone settings making it this easy to block your caller ID, it’s no wonder why blocked calls are so common! Now here is where the problem gets tricky. If you have already tried to stop blocked calls from ringing on your phone, you already know that this is easier said than done. If you’re an Android user, you are in luck. There are some Android phones that offer the ability to automatically reject blocked calls. That means if a blocked call comes through it will not even ring on your phone. Instead, they will be sent straight to voicemail. This feature is available on most Samsung and LG Android phones, but is noticeably lacking on other models running stock Android. If you are not sure whether your phone has this option, your best best is to check with your carrier or the phone’s manufacturer to confirm. For our iPhone users, let’s start with the bad news. As of today, there is no way with iOS to specifically stop blocked calls from ringing. That being said, you can block all calls that are not in your contacts from ringing on your phone, but that means a call from any phone number that you do not have in your contacts would be immediately sent to voicemail. Ouch! For most people, that is not a practical solution. If you are getting constantly harassed by blocked calls, you may consider something as extreme as that choice. But, does that solution really solve the problem? Those blocked callers are still able to leave you harassing voicemails, and you still have no way of finding out who the caller is. If you have tried these solutions before, you have likely run into these same frustrations. But, good news! There is a better way. Picture this: it is the weekend. You are having the fun and relaxing day off that you’ve spent the whole week dreaming about. Maybe you are enjoying an outdoor adventure with your closest friends, or celebrating a special day with family. Maybe you are enjoying a distraction-free visit to a familiar place or a gateway to an uncharted destination. But then, you are brought screaming back to reality by the all-to-familiar buzz of another blocked call ringing your phone. If you have ever been in a situation where you are getting harassed by blocked calls, you know this scenario is not just a fantasy. It is a reality when you don’t know who is hiding behind those endless calls. What is worse is that simply stopping the blocked call from ringing is an incomplete fix, and one with plenty of frustrating side effects. The best solution to stopping blocked calls from ringing on your phone is to cut the weed at the root and find out who’s calling, and TrapCall is the tool to help you do it. TrapCall is the best solution to put a permanent end to blocked calls. 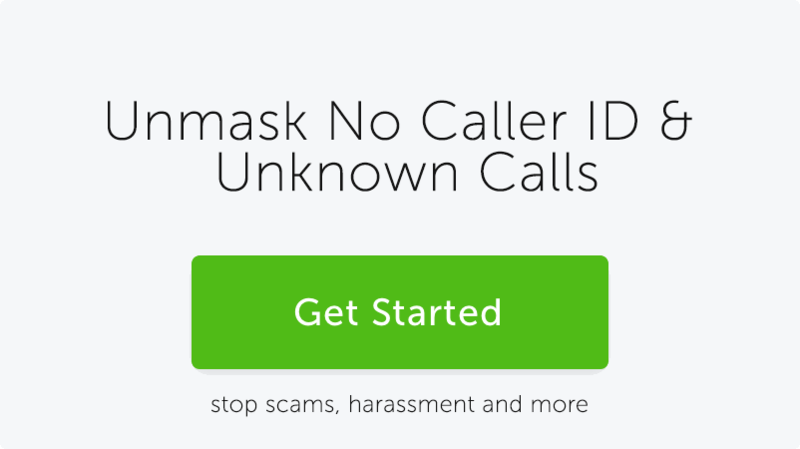 TrapCall is the only mobile app that allows you to unmask blocked calls to find out who’s calling you. Once the service is setup on your phone, you will simply need to decline any incoming blocked calls you receive, just as if you were going to send the call to voicemail. Instead, that call gets sent to us, we work our unmasking magic, and we send it back to you with the unmasked number, along with any name and address information we have available, so that you actually know who’s calling! From there, TrapCall gives you total control. You can blacklist that number so that they can never leave you a harassing voicemail again, or you can answer the phone and even record your call on our Ultimate plan to catch the caller red-handed. Band-aids are not a real solution, they are a temporary fix. Don’t band-aid the issue of receiving blocked calls by trying to just ignore them. TrapCall offers a real solution to the real problem, and gives you the peace of mind you’ve been looking for by ensuring you always know who’s calling. Click here to started using TrapCall today!